The modern classic about the colonization of Libya continues, as Italy watches its prized colony slip away. The Confines of the Shadow maps the transformation of the Libyan city of Benghazi from a sleepy Ottoman backwater in the 1910s to the second capital of an oil-rich kingdom in the 1960s. The short stories that comprise this second volume are set in the period between the late 1920s, when Italy began solidifying its power in its new Libyan colony, and the end of World War II, when control of the country passed into British hands. Italian military officers idle their time away at their club or by exploring the strange lands where they have been posted, always at odds between the nationalistic education they received at home and the lessons they’ve learned during their time in Libya. 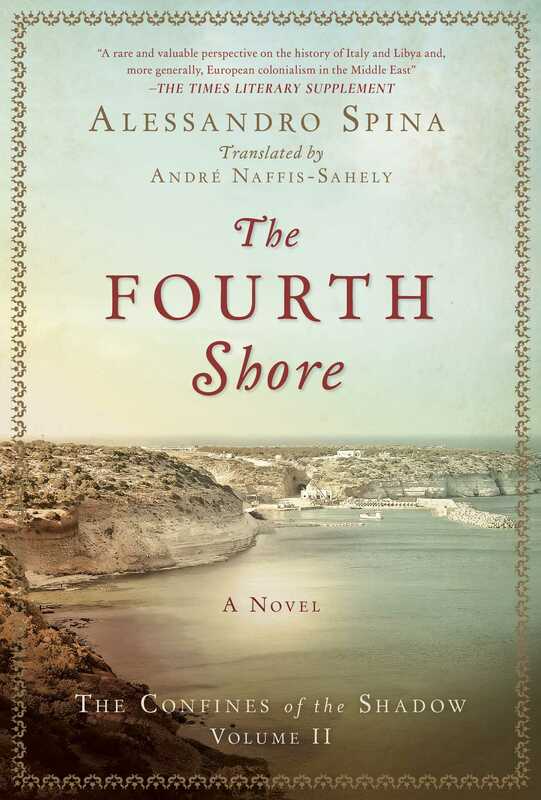 Employing a cosmopolitan array of characters, ranging from Italian soldiers to Ottoman functionaries, The Fourth Shore (the term was Mussolini’s name for the Mediterranean shore of Libya) chronicles Italy’s colonial experience from the euphoria of conquest—giving the reader a front-row seat to the rise and subsequent fall of Fascism in the aftermath of World War II—to the country’s independence in the 1950s. The discovery of Libya’s vast oil and gas reserves will trigger the tumultuous changes that led to Muammar Gaddafi’s forty-two-year dictatorship.